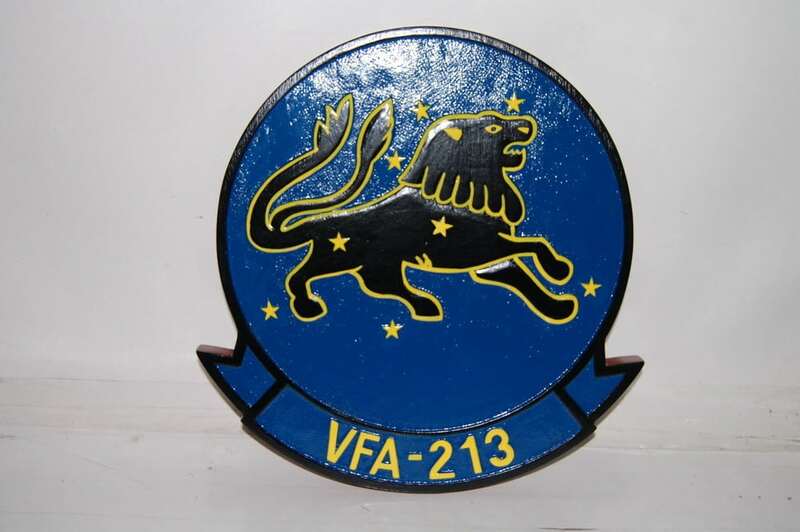 A beautifully carved 14 inch solid wood plaque of the VFA-213 Blacklions! Collect all your squadrons with truly artistic craftsmanship of the Navy’s finest symbols. 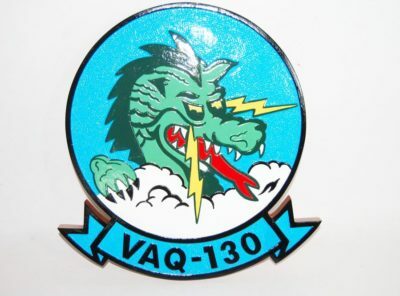 The Fighting BLACKLIONS of VFA-213 were commissioned on 22 June 1955 at NAS Moffett Field , California . The BLACKLIONS flew the F-2H3 Banshee during their first deployment aboard USS BON HOMME RICHARD (CV-31). They transitioned to the F-4D Skyray for their next two deployments on USS LEXINGTON (CV-16). 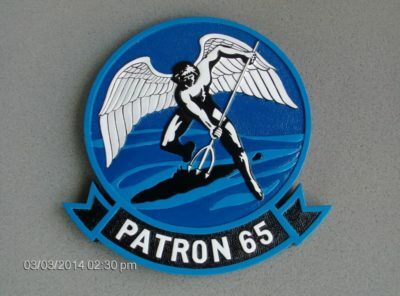 By their third WESTPAC deployment aboard the “LEX,” they were flying the F-3H2 Demon, which gave the squadron the capability to shoot the newly released AIM-7 Sparrow Air-to-Air missile. In June 1961, the squadron moved to San Diego , California where they were based at NAS Miramar, “FIGHTERTOWN USA .” Three years later, in February 1964, the BLACKLIONS took a huge step forward in fighter capability by accepting the first of their new F-4 Phantoms. In November 1965, VFA-213 joined Carrier Air Wing 11 (CVW-11) and began the first of six combat deployments to the South China Sea aboard USS KITTY HAWK (CV-63) where they flew numerous missions over Southeast Asia in the Vietnam War. This deployment marked the first use of the Phantom as a conventional bomber, which was a role destined to make the Phantom a mainstay of the US Navy, Air Force and Marine Corps. Throughout the war, the BLACKLIONS flew over 11,500 combat missions and delivered in excess of 6,000 tons of ordnance. On 20 December 1966, LT D. A. McRae and ENS D. N. Nichols downed an enemy AN-2 Colt for the squadron’s first kill. In March 1971, VFA-213 became the first fleet squadron to fly the Phantom more than 1,000 hours in a single month. In December 1976, VFA-213 transitioned to the Navy’s premier supersonic fighter, the F-14A Tomcat. 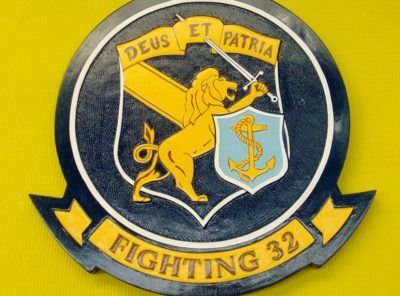 In April 1982, the BLACKLIONS added a new mission as they began training with the Tactical Air Reconnaissance Pod System (TARPS) and in September 1982, VF-213 deployed aboard USS ENTERPRISE (CVN-65). During Indian Ocean Operations, the BLACKLIONS achieved a new milestone by flying the longest Tomcat flight from a carrier on a 1,775-mile TARPS mission. The BLACKLIONS deployed again to the Western Pacific in 1988 where they took part in Operation PRAYING MANTIS, a naval conflict with Iran on 18 April 1988. The BLACKLIONS won the prestigious “BOOLA BOOLA” award in March 1989 for their aggressive professional completion of all missile test firings. In 1991, the BLACKLIONS deployed on USS ABRAHAM LINCOLN’s maiden WESTPAC cruise in support of Operation DESERT STORM. Day and night Combat Air Patrol flights by the BLACKLIONS over Kuwait enforced the United Nations’ sanctions on Iraq , while TARPS missions recorded the devastation of Kuwait oil fields. 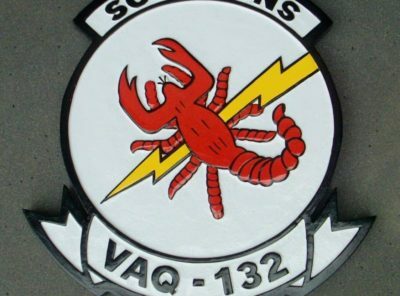 In 1992, VF-213 won the coveted “MUTHA” award for espirit de corps and took honors as the Pacific Fleet’s top fighter squadron when they won the 1992 Fighter Derby. 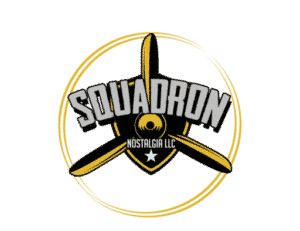 The squadron deployed for the second time aboard USS ABRAHAM LINCOLN in 1993 and participated in Operation SOUTHERN WATCH over Iraq and Operation RESTORE HOPE in Somalia . Upon their return, VF-213 began a turnaround for their next deployment, during which they again won the “MUTHA” award. In 1995, the BLACKLIONS again deployed aboard “ABE” in support of Operation SOUTHERN WATCH. The maintenance department was showcased, as all fourteen Tomcats assigned were airborne at one time over Iraq and Kuwait . When the BLACKLIONS departed KITTY HAWK at the end of deployment, they flew across the country to Virginia Beach , Virginia and became permanently stationed at NAS Oceana. In December 1997, VF-213 completed its transition to the F-14D and moved to the USS CARL VINSON (CVN-70). Aboard their new carrier, the BLACKLIONS returned to the Pacific to participate in RIMPAC 1998. 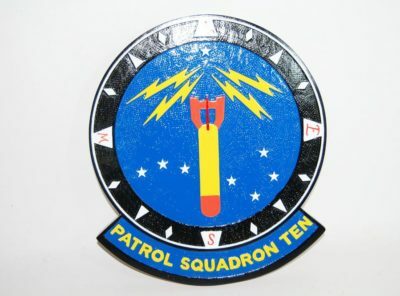 Immediately following RIMPAC, they executed another first in a missile exercise when they fired an AIM-54C Phoenix with an aircrew on night vision goggles. The BLACKLIONS next deployment was the 1998-99 WESTPAC to the Arabian Gulf . Two months into the cruise, the BLACKLIONS participated in Operation DESERT FOX, which was the Navy’s largest combat evolution since DESERT STORM. This successful deployment included the longest combat line period in over 25 years. VF-213 again embarked on the USS CARL VINSON in July 2001 for another WESTPAC. On September 11th, 2001, the BLACKLIONS were preparing to enter the Persian Gulf in support of Operation SOUTHERN WATCH when terrorists attacked New York and Washington D.C. The BLACKLIONS headed to the Northern Arabian Sea to lead the first strikes into Afghanistan against Taliban and Al-Qaeda forces on October 7th, 2001 beginning Operation ENDURING FREEDOM (OEF). For the next ten weeks, VF-213 participated with honor in OEF by flying over 500 combat sorties, over 2,600 combat flight hours, and expending over 400,000 pounds of ordnance. VF-213 became the first Tomcat squadron to log more than 1,000 hours in two consecutive months. The BLACKLIONS also provided invaluable reconnaissance to the Task Force and Theater Commander with their TARPS pods. VF-213 received the 2001 COMNAVAIRPAC Battle “E”, CNO Safety “S”, CNO Clifton award and the COMFITWINGLANT Golden Wrench for their superb performance during 2001. 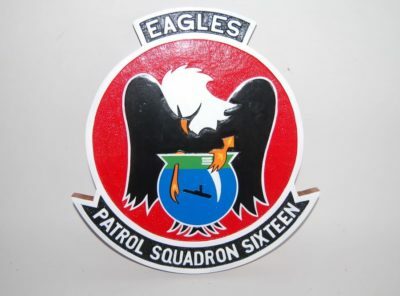 In 2002, the BLACKLIONS became a member of Carrier Air Wing 8 (CVW-8). In January 2003 the squadron deployed aboard USS THEODORE ROOSEVELT (CVN-71) in support of Operation IRAQI FREEDOM (OIF). On March 21, 2003 VF-213 along with coalition forces commenced combat missions over Iraq . 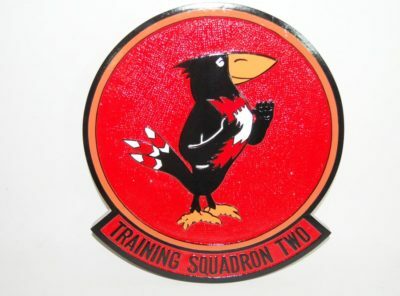 CVW-8 and CVN 71 became the “Night Carrier” and conducted most operations in the dark, which inspired the aircrew to coin the phrase, “living after midnight, bombing ‘til dawn”. Over the course of OIF, the BLACKLION’S completed 198 combat sorties with a 100% sortie completion rate, 907.6 combat flight hours and expended 96 Joint Direct Attack Munitions (JDAM) and 102 Laser Guided Bombs. In 2004, VF-213 again earned high honors as the winners of the “BOOLA BOOLA” award for excellence in maintenance and employment of Air-to-Air ordnance. The squadron deployed for a second time in support of OIF in September 2005. Flying over 3,500 combat hours in 581 combat sorties, the BLACKLIONS dominated the air over Iraq dropping over 5,000 pounds of precision guided ordnance. VF-213 also pioneered a new technology for the Tomcat in Remote Operated Video Receiver (ROVR) capability. This allowed the troops on the ground to see the Tomcat’s infrared display from the cockpit real time. Soon after, this ability became a requirement for all strike aircraft operating in Iraq . 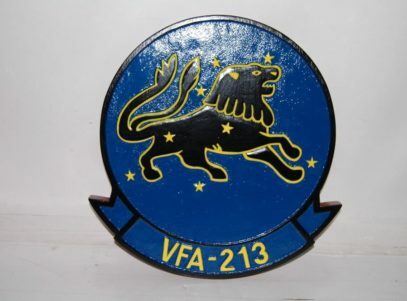 After their return in March 2006, the BLACKLIONS were re-designated VFA-213 on April 2, 2006. Transition to the F/A-18F Super Hornet began in May and the squadron was deemed “Safe for Flight” on October 27 of that year.